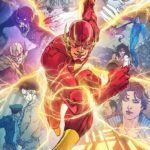 Newsarama has an interview with incoming Flash writer Joshua Williamson, in which he talks a lot about what will happen with Wally West in DC: Rebirth, the new villain Godspeed, and more. The first Flash issue of the new relaunch will be Flash: Rebirth #1, which is due out on June 8th, while Flash #1 is scheduled for June 22nd. Williamson: He [Wally] idolizes the Flash. He wants to be like the Flash. He really idolizes him. But as the story goes on, things…. you know that saying about “never meet your idol?” He’s going to kind of see that the Flash is not exactly what he thought. Because Barry is a flawed person. He wants to do everything he can and be a great hero, but sometimes Barry can’t see the forest for the trees, because he’s trying to be so much. He can’t always focus and see. Whereas Wally, I think Wally’s perspective is a little more grounded than Barry’s. I think that he is able to take it all in in a different way than Barry can. He can see the Force, whereas I don’t think Barry can, right now at least. That’s part of the story, is showing that and then showing how we move forward from that. 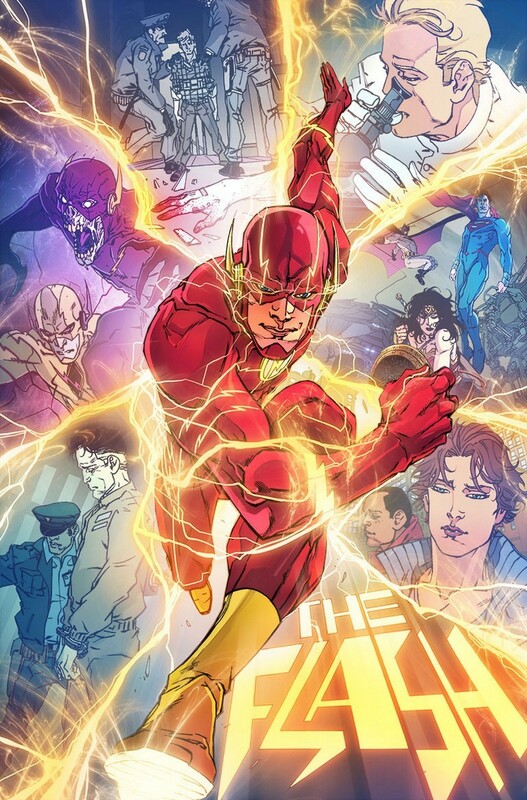 Williamson acknowledges that it’s now widely known that Wally will become Kid Flash due to his appearances in Teen Titans promotional art, but says people will be surprised by how it happens. And he also notes that he’ll be keeping New 52 continuity intact where he can. Check out the interview and see what you think; there’s more preview art by Carmine DiGiandomenico at Newsarama as well. DiGiandomenico will be alternating with Neil Googe on the art duties because of the book shipping twice monthly. Interested in what Williamson has to say about the future of the book? Sound off here! This entry was posted in Flash News and tagged Flash: Rebirth on May 13, 2016 by Lia. No, Barry is not flawed. Wally was the flawed Flash. Lottery winner. Objectified women. Inferiority complex. Money waster. Etc. All of which was perfectly arched out by Waid and others. At least I still have my pre-52 back issues. Is that Black Flash in the picture? Certainly looks like it! Nice to see it’s apparently being brought back. I haven’t read any of his stuff and was hesitant at first, but the more interviews I’ve read and seen the more I’ve grown optimistic about his run. He clearly has a love for the character and is clearly playing the long game (a consistent run on Flash is usually a good thing in my experience) and on top of all that I feel pretty confident that Rebirth is planning on at least bringing original Wally into play in some fashion. I can dream. Crossing my fingers and really hoping I don’t end up eating those words. I’m concerned about that love, it already feels like he’s going to downplay Barry because people want Wally to be number one. The art kinda looks off to me for some reason too. Oh well, I’m going to read it regardless of what happens or how the art looks, I like the Flash too much. Barry’s still going to be the Flash in DC’s comic book, TV, and movie universes, as well as the animated features. He’s still going to star in the Flash & Justice League comics, the Flash TV show, the Justice League movie, and the Flash movie. Wally is going to be Kid Flash. He’ll be the sidekick in the Flash book and part of a team of sidekicks in Teen Titans. Also, Newsarama knows that the words Wally West in a headline guarantee clicks and shares. Wally’s fans, even those of us who are OK with the new take on the character, have been desperately waiting for him to be some sort of superhero again for years, so any news on the subject is a powerful magnet. Amusingly, after years of clickbait headlines for anything that could possibly be interpreted as having something to do, however minutely, with Wally West, Newsarama is putting spoiler warnings in its headlines and image thumbnails today. Wally is appearing as one protege speedster among many. Concerns about Barry Allen’s prominence seem unfounded when the new Wally West has been given a sum total of 0 things to do other than die and get arrested despite being in existence for more than a year. Don’t worry about the writer. The editors have been enforcing a strong policy of downplaying Wally ever since Infinite Crisis. I’m guessing that a classic-style Wally West will be the one mentoring the new Wally West. Saying things like Barry is a flawed person while compared to Wally really doesn’t make sense to me. It feels like he’s going to fan service for Wally fans to make him the best Flash, I hope this isn’t the case. I guess he could also be under a lot of pressure because of these fans, if he doesn’t do Wally well he’ll be condemned. Whatever the case I hope he doesn’t screw up or even downplay Barry because of it. In fairness, Barry has always been a flawed character going back to even the silver age. He was an undwracheiver, absent minded and ALWAYS late. Flaws can help make a character feel well rounded and more human so that’s not something that bugs me (until it’s done badly, then I’ll rage). I know most Flash fans have moved on but as one of those annoying Wally fans I really hope the old pre-flashpoint version shows up for even a little bit. Wally fans haven’t gotten a substantial fix in 7 years. Flash as a franchise lends itself beautifully to the kind of multiple version stuff that is going on over in Superman’s corner. There’s no reason we can’t all be happy. If none of these things are addressed in this run then I’m fine with that as well as long as the book is good. The whole Wally thing is more of an ideal scenario rather than something I think DC MUST do. Yeah, in addition to the traits you mention above, Barry was sometimes insecure and occasionally showed a surprising lack of patience or kindness for some of his villains (other times he showed the patience of Job, of course. But I guess everyone has their limits). And this was well before Johns decided to give him some more flaws; Cary Bates made him a lot more human in the Bronze Age. I like Barry because he’s always been a genuinely good person with his heart in the right place, but he definitely wasn’t perfect. Barry Allen has the kind of flaws that most people mention about themselves in a job interview. He pushes himself too hard. He cares too much. He overworks himself. Being late to things was always just an extension of this. I admit that i have not read a flash comic since maybe issue 20 of new 52. Just havent liked what was done with my flash (wally). I am interested in yet another rebirth. Question, is this Wally suppose to the African-American Wally or the Red head Wally? I think the Wally in Rebirth and beyond is the current, new 52 Wally West, not the pre-new 52 Wally. Looks as if DC is bringing back the pre-Nu52 Wally West (white dude with red hair. But he will be de-aged and not married. Honestly I hope that they bring him into the main book. And faze out the PC Kanye West version who no one seems to like. I really have the impression that the speedforce storm that is going to hit central city, that for sure gonna happen in rebirth, is actually the pre-new52 wally, that is going to unfortunatelly die and his power will fuel the new52 wally. I agree but honestly I’d rather him come back and get a good death. Barry got a fantastic send off during his 25 year “hiatus”. Wally at the very least deserves the same. I always kind of thought he should go out swinging. Maybe even make him a decade or two older so that he gets some extra time with his family?